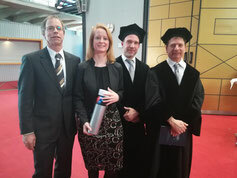 Maaike Goelema defended her thesis on perceived sleep quality today. The first in the TU/e sleep series! the perceived sleep quality of lay people in a health monitoring context. behavior and user awareness and what determines a good night sleep."